Informative and visually exciting, this whistle-stop tour takes children from Hawaii to the Everglades and from the White House to the Statue of Liberty. The unique design of the book allows children to discover a “hidden“ image by holding the page up to a bright light. 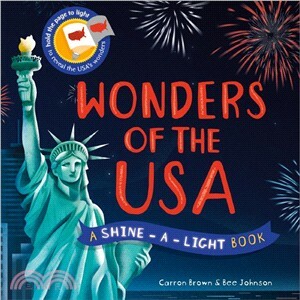 For children aged 3 and up, this is the perfect introduction to the wonders of the USA.